Special Super - Number 7 - The Earliest Known Surviving Super Wagoneer in Existence! What a stunning find - this original survivor is the seventh Super Wagoneer made and the earliest known survivor in existence. It starts, runs and is complete. And it's #7! We are accepting serious offers for this landmark and special (unrestored) Super Wagoneer. Call or email for more details or to discuss purchasing. 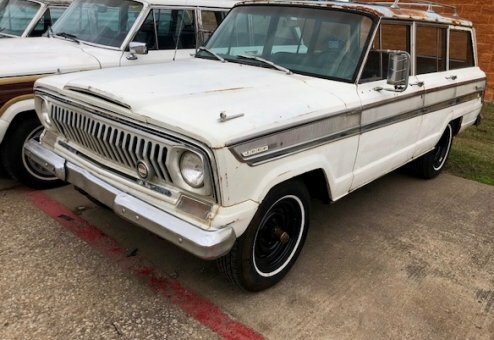 This historically significant and collector-potential Jeep is one of only 1,485 Super Wagoneers (Series 1 & 2) ever produced. The vast majority are long-gone with only an estimated 50 to 200 survivors remaining (including non-running Supers), These are extremely rare vehicles and even harder to find for sale -- especially in original, complete condition. Our Super Wagoneer restorations in-house at Wagoneer World begin at $125,000+ This is the quintessential candidate for a classic and complete restoration. This unique, rare and historical signficant Super is also available unrestored/as is and we're accepting offers. It's ready for a custom restoration to your specs -- call us for status, options and to learn more about making this classic your own. This is a well-preserved survivor.